Buying jewelry is something that a lot of people look forward to, especially the ladies. They say that diamonds are a girl’s best friend. This saying has some truth in it. Diamonds and any other kinds of jewelry just attracts more females than males. But no matter how attracted one is with jewelries, they always seem to be pricey or expensive. Our topic for today has to do with the purchase of the jewelry and that is with a jewelry invoice. Owing to the fact that jewelry are expensive and just something that one can buy from a random convenience store, attention should be given to jewelry invoices. We have included a number of jewelry invoice samples and templates in this article, together with a couple of useful things that you should know about them. Check them out below! What Is a Jewelry Invoice? A jewelry invoice is a piece of document that contains the details of a jewelry purchase. It is issued to the customer before the actual item is given to them. Invoices are used to request for the payment of the products or items, such as jewelry, that a buyer or customer wishes to purchase. Often, an invoice is issued while the jewelry item is prepared or wrapped so that after the receipt of payment, the item is then handed to the buyer. A jewelry invoice includes the jewelry or item number, the total amount of the purchase together with the taxes and fees, the mode of payment, the names of both seller and buyer, and many more. You may also see customisable tax invoice templates. You would think that an invoice is just another piece of paper detailing one’s purchase. You would actually understand an invoice more if you know its uses. 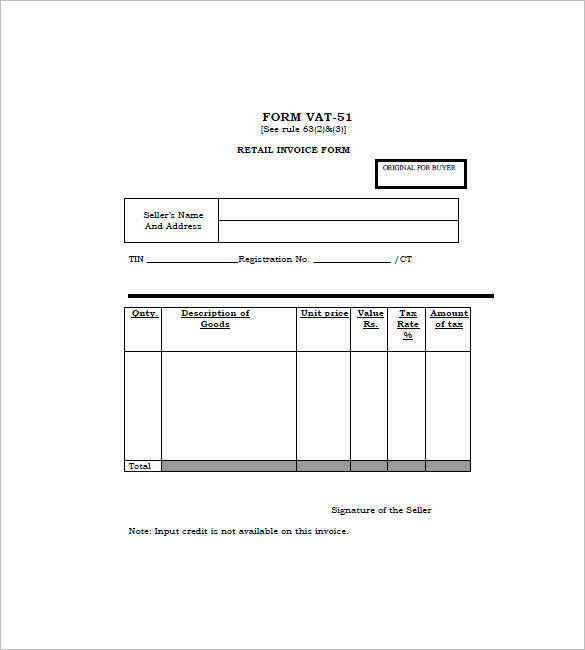 The following are the uses of a jewelry invoice template. 1. A jewelry invoice template is used specifically for the sale and purchase of any jewelry items, whether it be in pawnshops or jewelry shops. 2. A jewelry invoice template is used to record the details of the purchase, like the type of jewelry being purchased and its price. You may also see business invoice templates. 3. A jewelry invoice template provides a complete list of parts of an invoice which helps in making every sale transaction fast and easy. 4. 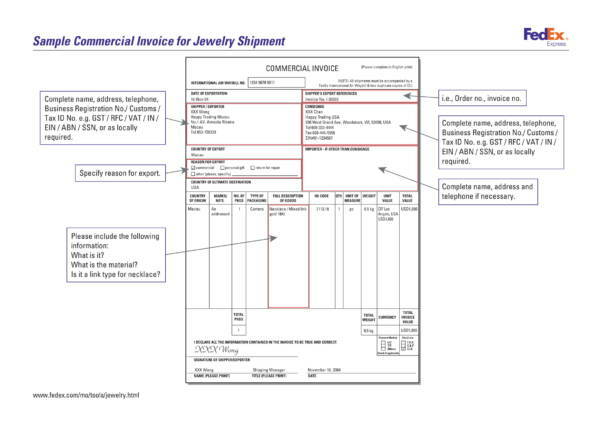 A jewelry invoice template is used to help make the contents of the invoice as accurate as possible. 5. 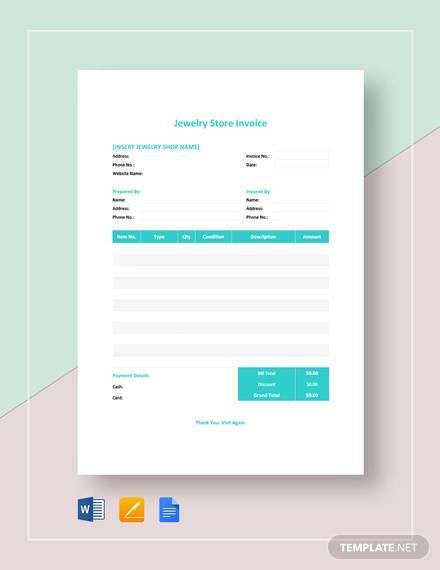 A jewelry invoice template is used by businesses to keep track of the jewelries that they have sold and to whom it was sold to. This is often done during business inventories. You may also like billing invoice samples. 6. For the customers or buyers, a jewelry invoice template provides them with a copy of the sale transaction that they can keep to prove that they have legitimately acquired the item or items. If they wish to sell the jewelry, they can show the invoice as proof that it was purchased for a specified amount You may also check out self-employed invoice samples and templates. Find out more about other types of invoices by simply dropping by or website. We have a selection of invoice samples and templates that you can choose from, like equipment invoice templates, repair invoice templates. What Items Are Included in a Jewelry Invoice? One of the important things to know about a jewelry invoice are the elements that should be included in every document issued. It is important to know these elements because they will help you determine if there is some sort of strange or illegal activities going on in the transaction. To keep away or avoid getting into any unfair and illegal transactions, below are the elements of a jewelry invoice that you need to know. You may also see hotel invoice samples. 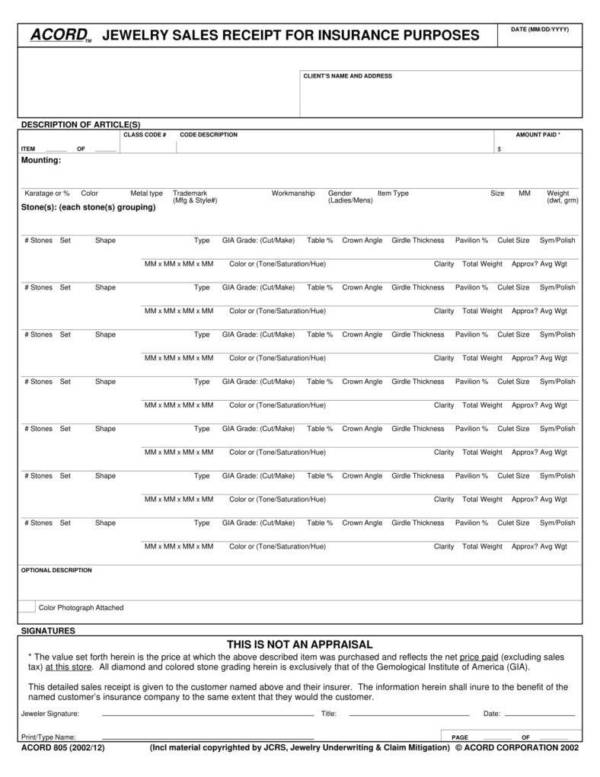 If you see all of these elements on a jewelry invoice issued to you, then you can guarantee that you are not getting yourself tricked. It’s easy to get away from bad situations if you know what you are getting yourself into. More invoice-related topics are offered on our website for your quick reference. You may find there elements that you need to include in your invoice, lawn care invoice samples and templates, and vendor invoice samples and templates. 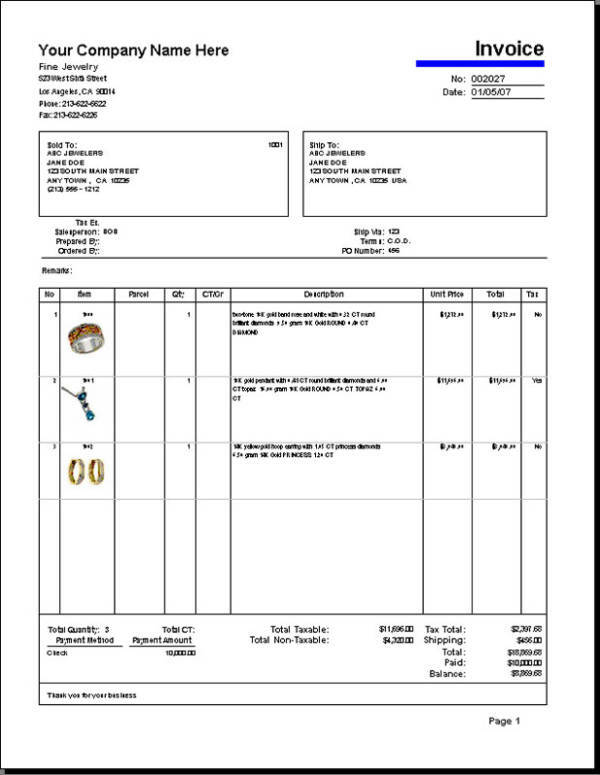 Seen a jewelry invoice template online, but just don’t know how to make and use it as your own? Well, then you have come to the right place. Here we will help you make and use that jewelry template as your own. What you need to do is simply follow the steps provided below. You may also see cash invoice samples. 1. Download the jewelry invoice template that you want to use. Also make sure that they are editable templates so that you can make changes. Templates that are mostly editable are in Word files and Excel files. 2. Open the template that you have downloaded. Also make sure that you have the right application installed on your computer or laptop to be able to open and edit the jewelry invoice template that you want to use. 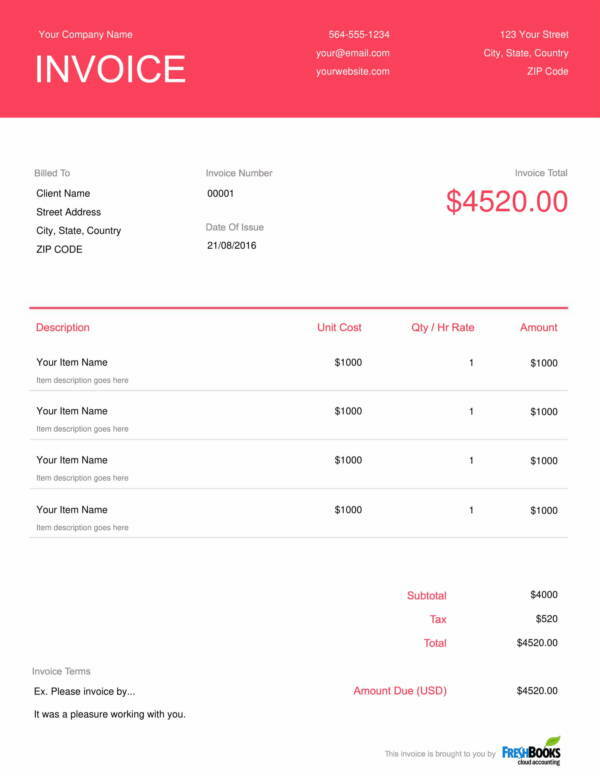 You may also like sample contractor invoice templates. 3. Look for the parts that you want to change. To start editing, highlight the word or words that you want to change or remove and then press the Backspace button on your keyboard. Type in the new words that you want to put or leave it blank. You may also check out landscaping invoice samples. 4. Do the same for all the other parts that you want to change or remove. 5. When you are done, review your work and then save the changes that you have made. You may now use the jewelry invoice template as your own. Feel free to print as many copies as you need. 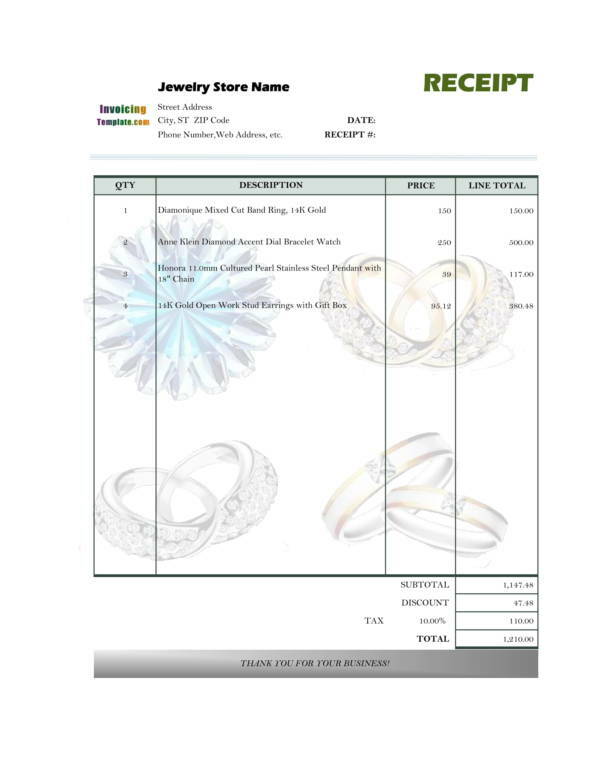 Don’t you just find it easy to create a jewelry invoice template of your own using free and editable templates online? Well, it’s not just jewelry invoices but there are various invoices that you can edit and use as your own. To name a few are advertising invoice templates, commercial sales invoice samples and templates, and purchase order invoice samples and templates. Taking advantage of free and editable jewelry invoice templates that you can find online can guarantee you with a lot of wonderful things. If you don’t know about it yet, then you might want to check out the advantages offered by jewelry invoice templates. 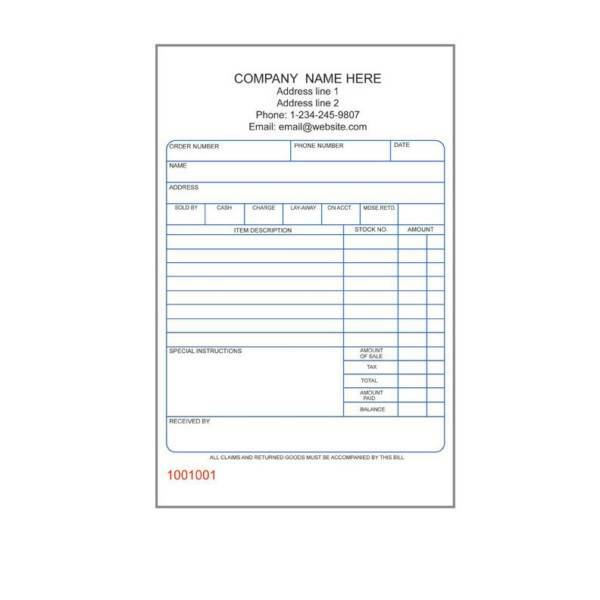 You may also see free commercial invoice templates. 1. It makes your work faster. Filling out the details of a purchase is clearly an advantage instead of thinking about what parts and details to put on it. It will definitely make your work fast so that you can also handle the sales transaction fast. 2. It is easy and convenient to use. An outline of everything that you need to take care of is already laid out on the jewelry invoice template. So what more can you ask for? With that, you can easily and conveniently make a jewelry invoice. You may also like consulting invoice samples. 3. It provides an already framed document. There is no need for you to draw lines and tables just to make your invoice look framed and neat as those things are already done in any invoice template. 4. There are a lot of jewelry invoice templates available online. Scarcity will never be an issue when it comes to invoice templates. There are a variety of invoice templates that you can choose from aside from jewelry invoice templates so you are sure to find what you need. 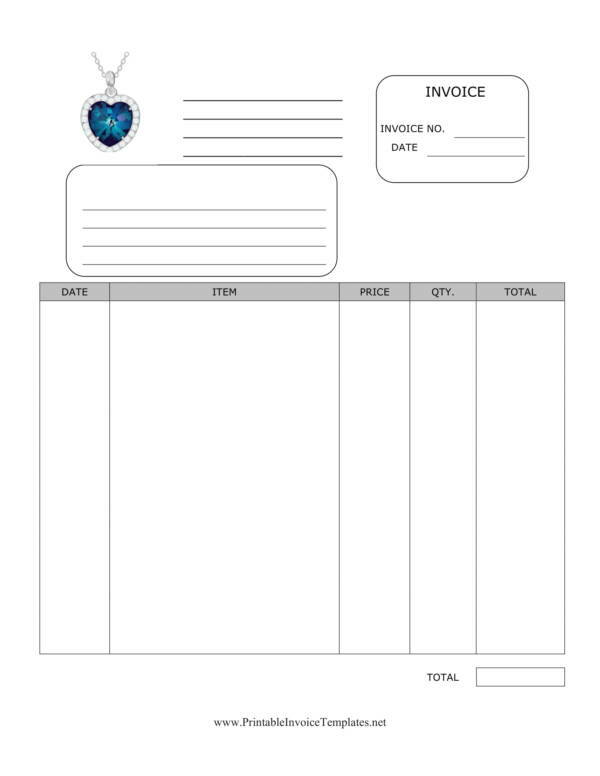 You may also check out sample medical invoice templates to download. 5. Most of the templates are offered for free or without any fees. A lot of these invoice templates are offered online for free, just like the ones included in this article, and so are the other samples and templates that you can find on our website. 6. Provides a complete and accurate document. You are sure to provide a complete and accurate document with the use of a jewelry invoice template because it already has every detail or arts added to it for your convenience. 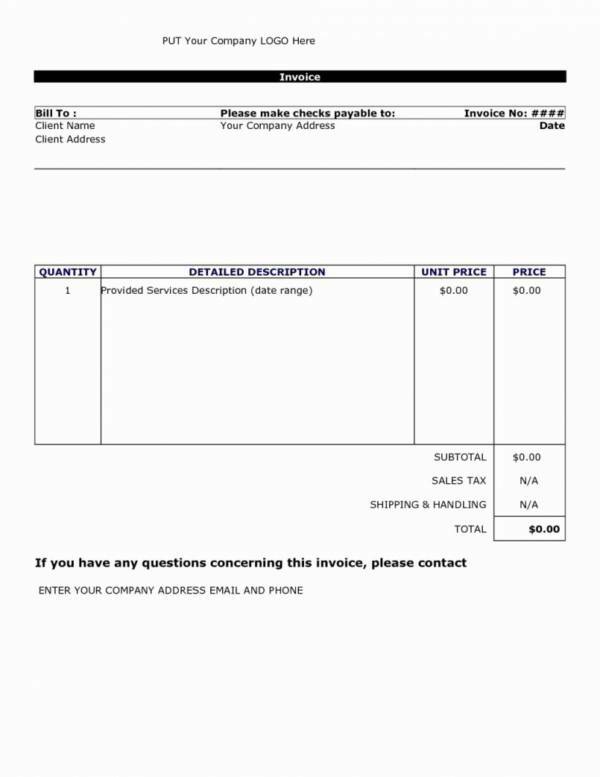 You might be interested in printable service invoice templates. 7. Proves that a business is doing legal transactions. Legal businesses will always use legal means and follow legal processes on how things are done, and one indication of that is their use of reliable invoices. Did you find this article helpful? If so, you might also want to check out other articles that we offer on our website, like Cash Invoice Templates, Standard Invoice Templates, and Tax Invoice Templates.